According to Business Wire, in October of last year, “Buyers Laboratory, LLC (BLI) announced that it has acquired InfoTrends, a division of Questex, LLC. BLI is the leading provider of independent test based analytical information, competitive intelligence, sales enablement and related services to the global digital imaging industry. InfoTrends is the leading provider of strategic market analysis, research and advisory services to the global digital imaging industry with deep specializations in the production printing & digital media, office technology & services, and consumer & pro imaging segments.” As part of the New Year kick off, employees from Buyers Laboratory’s IT department came together for a few days of learning about the newly combined organization. This was also a great opportunity to get to know their new co-workers. While there was a lot of classroom and lecture type learning, the Executive Management group was very excited to participate in a “get up and move” type activity. 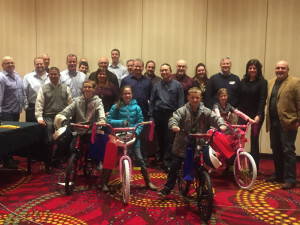 The Chief Revenue Officer organized the 2-hour bike team building event held in January of 2015 at the Mystic Marriott Hotel & Spa 625 North Road (Route 117) Groton Connecticut 06340. 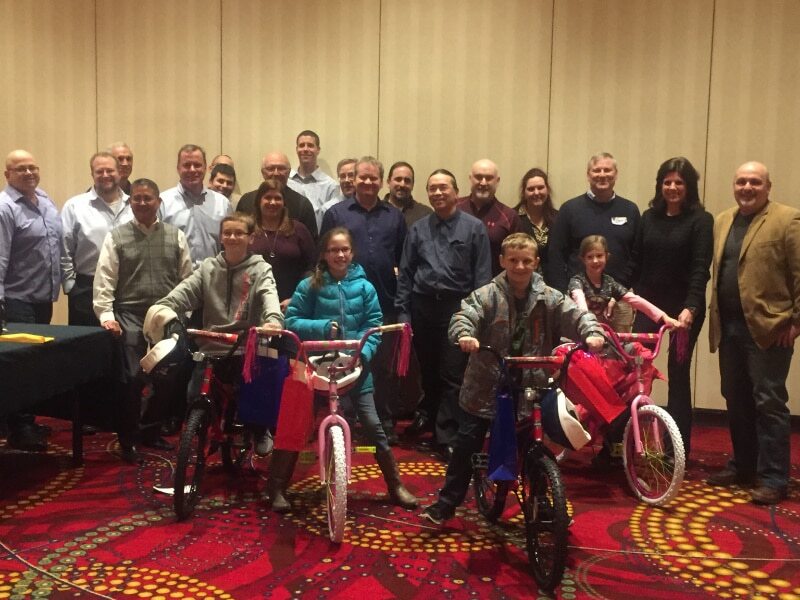 The Build-A-Bike ® team building event was lively with facilitated activities by Michelle Riklan of the Leader’s Institute®, which mixed up the group and got everyone to know more about each other. Then, some fierce competition ensued as we formed pre-assigned teams and all were tasked with developing their teams and presenting their team spirit to the group. The final activity was earning parts to build the bicycles and collaborative efforts were needed to complete the task. Four lucky children from Mary Morrison Elementary School arrived at the end of the event. These children were identified by Monica Franzone, Ed.D, Principal of the school as deserving of this donation. The children told everyone that they were selected for being “Respectful, Responsible, and Safe”.